This article was originally published in Ōtaki Today. Who knew that in the early 1920s sunny Ōtaki by the Sea was poised to become “The Los Angelos (sic) of New Zealand’s Moving Picture Industry…”? Early in 1921, Frank Moore visited New Zealand on behalf of an Australian film company proposing to establish a branch in New Zealand to produce feature films. Moore recommended Ōtaki as the best site for the studio because of its varied scenery, and more importantly, its “potent actinic rays” (white light). 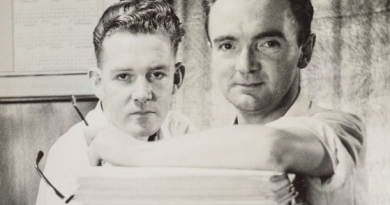 Interest was strong and soon Maoriland Land Films was established as a subsidiary of The New Zealand Moving Picture Co Ltd. A flurry of activity saw three films produced in the six months the company survived. One, Charlies Capers, was a comedy starring a Charlie Chaplin impersonator called Leonard Doogood. Otaki Gorge Buller Lake and Otaki Maori Life which unfortunately no longer exists, consisted of scenic views around Ōtaki, while the third, Historic Otaki, includes the Tangi and Funeral of Te Rauparaha’s Niece Heeni Te Rei. Heeni Te Rei was known for her philanthropy, often gifting money to those in need by selling land. She was the daughter of Mātene Te Whiwhi, the son of Te Rangi Topeora, who in turn was a niece to Te Rauparaha through his sister Waitohi. Her genealogical connections meant Heeni had a substantial standing in the community. Historic Otaki begins with a shot from the top of Mutikotiko, the high ground behind Rangiātea Church, with a shot of the then Ōtaki Native College, now the site of Te Wānanga o Raukawa. Panning around it takes in wide panoramas of open farmland, Rangiātea Church and the township. Other shots include the Ōtaki Sanatorium near Hāruatai, which was opened in 1907 and eventually demolished in 1997. On its bed of silver sand. The film then shifts to the second part, the Tangi and Funeral of Te Rauparaha’s Niece Heeni Te Rei. The Honorable Dr. Māui Pōmare M.P. for Western Māori is one of a large number of manuhiri who converge on Kāingarakiraki, a homestead on Waerenga Road, Ōtaki to attend the tangihanga of Heeni Te Rei. 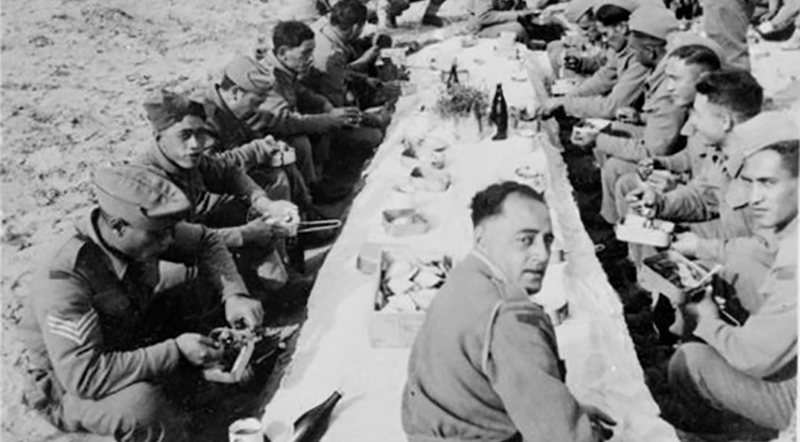 Kuia and whānau sit with the tūpāpaku of Heeni Te Rei in a tent throughout the tangihanga, where the Union Jack draped coffin is surrounded by photos of her relatives who have passed on, with the Ngāti Huia flag, gifted by Lord Onslow, proudly flying in front of the tent. 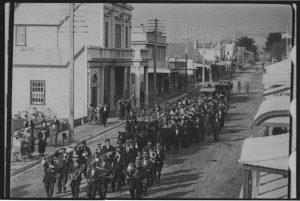 A brass band leads the funeral procession and glass drawn hearse, followed by people and cars along the main street of Ōtaki to the urupā at the rear of the Rangiātea Church. Photography Charles Frederick Newham. Filmed by NZ Moving Picture Company, Māoriland Films. Stills Collection, Ngā Taonga Sound & Vision. Various kaumātua deliver their whaikōrero following the flowery intertitle “Extolling the virtues in the life of the deceased” and there are brief shots of beautifully hand woven kākahu, whāriki and mere pounamu on display. Later, a horse-drawn glass hearse conveys the coffin from the home to Rangiātea Church. Lead by The Ōtaki Brass Band, the procession makes its way along Main Street Ōtaki. The shot is from the balcony of the Telegraph Hotel and looking back towards Raukawa Marae. 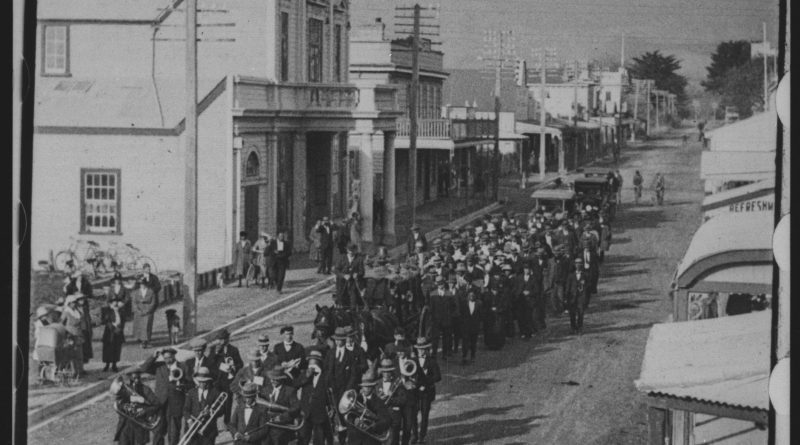 The procession is then shown entering the grounds of Rangiātea before making its way to Mutikotiko, where Heeni Te Rei is laid to rest next to her father Mātene Te Whiwhi. There is much amusement and clowning around for the camera during preparations for the hākari. A group of Māori girls perform the poi, to the accompaniment of the banjo by Hēnare Tahiwi and violin by Ellen Cook of the famous musical family group The Tahiwis. The current Māoriland Film Festival takes its name from this earlier company.